Vietnam is more than just Hanoi and Ho Chi Minh City aka Saigon. Hanoi is the capital but Ho Chi Minh City is the most populous city. Vietnam has been grown in popularity, since the Vietnam war. These days, Vietnam is a developing country, particularly their economy, as it counts on its trading and tourism. With Hanoi and Ho Chi Minh city getting loads of tourists. But, there are rare people who are aware of the charming beauty of Ninh Bình. This is the capital city of the province with the same name. To visit Ninh Bình takes approximately 2 hours from Hanoi. But it is definitely worth visiting. 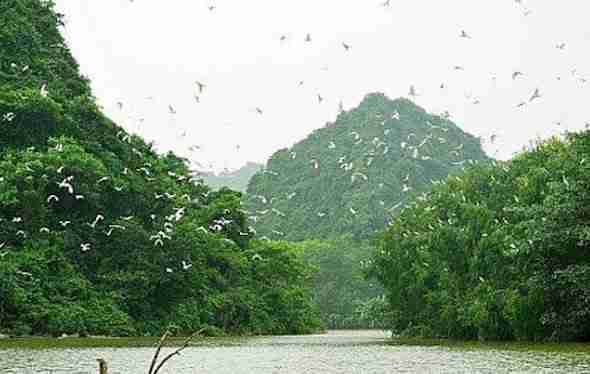 Visitors, who have visited Ninh Binh, mostly make a vow that they will go back What’s so special about Ninh Binh, anyway? Everyone agrees that this city has an unrivalled natural beauty. It is surrounded by mountains, while it is easy to find monoliths with flowing rivers and caves. They are simply beautiful. Of course, it is not the main things to do In Ninh Binh, here’s more fun things to do during your visit to Ninh Bình Vietnam. Let’s explore the suburb areas first. As this is classified as a small city, even if it’s a capital of a province, It’s strongly recommended to hire a motorcycle or a bike, in order to enjoy the overall place and its tremendous beauty. Before you think about hiking a bike on some challenging trails, you can see the charm of paddy fields which are available in almost every inch within the city. Anyway, you can also try to take a train, if you don’t have the energy to pedal in exploring the magical views of Ninh Binh. All you have to do is to book a train ticket from Hanoi to Ninh Binh and pamper your eyes with the stunning panorama of the endless valleys and hills. Yet, you should be ready with some delays or crowded train as you might want to keep your valuable things in a very safe spot within your bag. Beware of pickpockets, and avoid falling asleep within the train. Besides, you should never miss the natural views through your train windows, right? Need to explore the more extraordinary natural sightseeing? 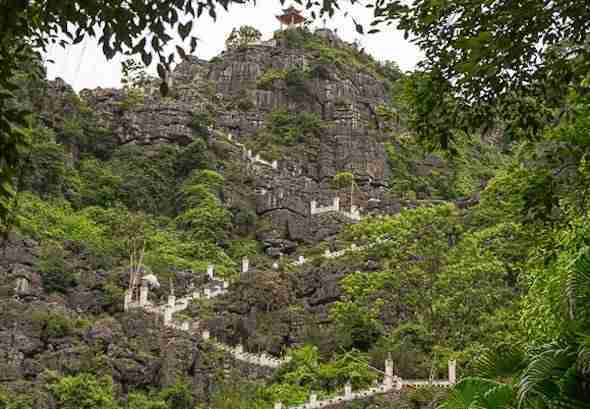 Make sure that you don’t miss Duc Thuy mountain. Surely, you can expect the picturesque green view this historical mountain, where lots of classic, world class poets got their inspiration here. Duc Thoy is the province’s icon, so there is no reason to miss this place. Living in big cities can make you unaware of thousands of bird species, just as you visit Thung Nham Bird Garden. Thung Nham Bird Garden is rarely listed on some tourists’ guides. Nevertheless, you are reading this article now and Thung Nham Bird Garden should be one of your main destinations. Believe it or not, this is the best place for tourists, who may be bored with visiting cramped tourism resorts, particularly on vacation. Instead, it is full of lovely birds! It is fairly unbelievable that there are only few people notice this place. There are hundreds of tree varieties, with a great number of birds in different species, colors and sizes. Here, you can also enjoy boat trip, hiking and camping. If you have done in visiting all those aforementioned spots, then it is the time to try out the real challenge of Hang Mua Peak. As the name implies, it relates to such a demanding effort to reach it. There are more than 300 steps that you need to conquer. Just go through it and stay hydrated by bringing enough water to keep you energized. Once you reach the peak, then you will regret that you haven’t visited this place decades ago. Need a true boat adventure? Then you should make sure that Trang An is your next spot to visit. The boat adventure will safely cross the river by using a very small boat! You will be surprised that a woman is rowing the boat for you, for approximately two hours! What takes the trip so long? Well, you’ll be impressed on how you will watch various kinds of temples through the seemingly endless lakes. You will enter several caves, that urge you to mind your head, especially of you are taller than 6 inches. If you think that there is no ‘competitor’ here, then you get this wrong. This place has no shortage of visitors. Once you satisfy your need of witnessing the panoramic natural views, you can start your adventure by visiting recommended places. Bái Đính Pagoda should be on your list. This is not merely the biggest Buddhist statue of in the country but has also become the most enormous pagoda, that South East Asia has ever owned. 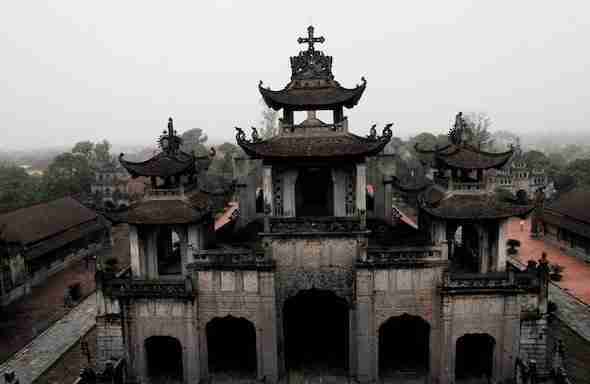 Next, let’s explore another religious site that Vietnam boasts, as it represents the country’s major civilization. While many people think that Buddha is the main religion here, Christianity also plays an important role in contributing to the country’s culture and evolution. Phát Diệm Cathedral is only a few among several churches in Vietnam. This church is definitely the most sophisticated one in the country, where visitors can observe the western touch in its architecture. Though there is still a slight influence of local culture on both the interior and exterior. Built with stones and wood, it took two decades to build it. Ninh Binh has a good selection of guest houses, hostels and hotels. Here are a few places to check out if you are planning to visit Ninh Binh Vietnam. Situated in Ninh Binh and within 10 km of Bai Dinh Temple, Thien Truong An Hotel features a garden, rooms and free WiFi. At the hotel, each room comes with a wardrobe and a flat-screen TV. Chez Loan Hotel offers peaceful and comfortable accommodation with free WiFi access in the entire property. Tastefully furnished, air-conditioned rooms and bungalows come with tiled flooring, a wardrobe and a TV with cable channels. Offering shower facility, the en suite bathroom also has slippers, hairdryer and free toiletries. The hotel boasts a restaurant and free WiFi throughout the property. There is a 24-hour front desk at the property. Each room is air-conditioned and features a private bathroom with shower facilities. For your comfort, you will find slippers and free toiletries. 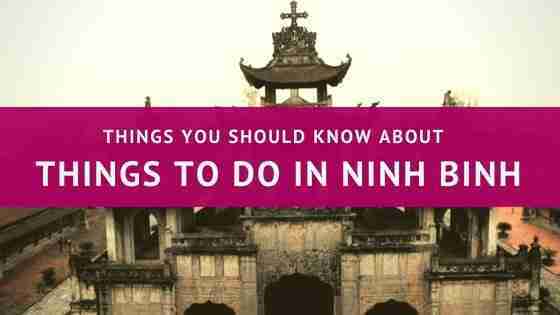 Finally, those are only to name a few of things to do in Ninh Binh, Vietnam. Get more information through more research and make sure that you find several remote places in this province that no other tourist might have heard off. And that’s it for now! 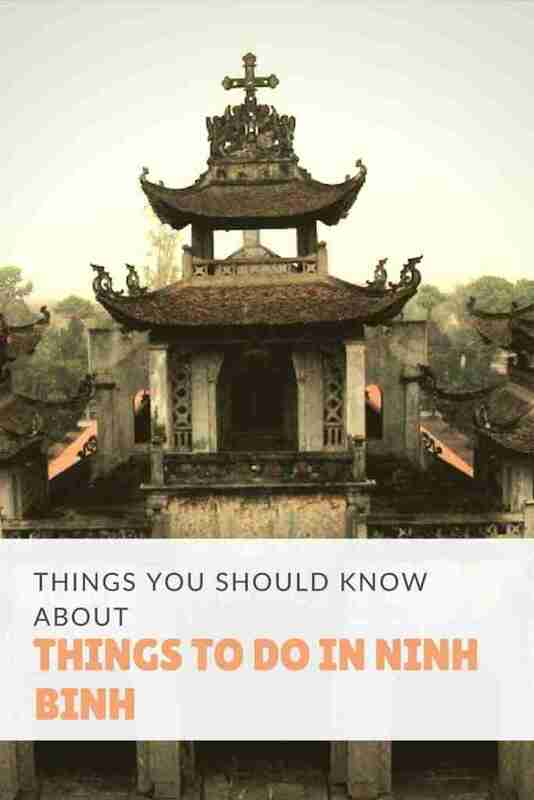 I’d love to know if this guide on the things to do in Ninh Binh Vietnam has helped you. Let me know if you have any questions and let me know if you go too. What To Bring When Traveling To Cambodia?Reasons To Visit Malaysia. Why Travel To Malaysia?